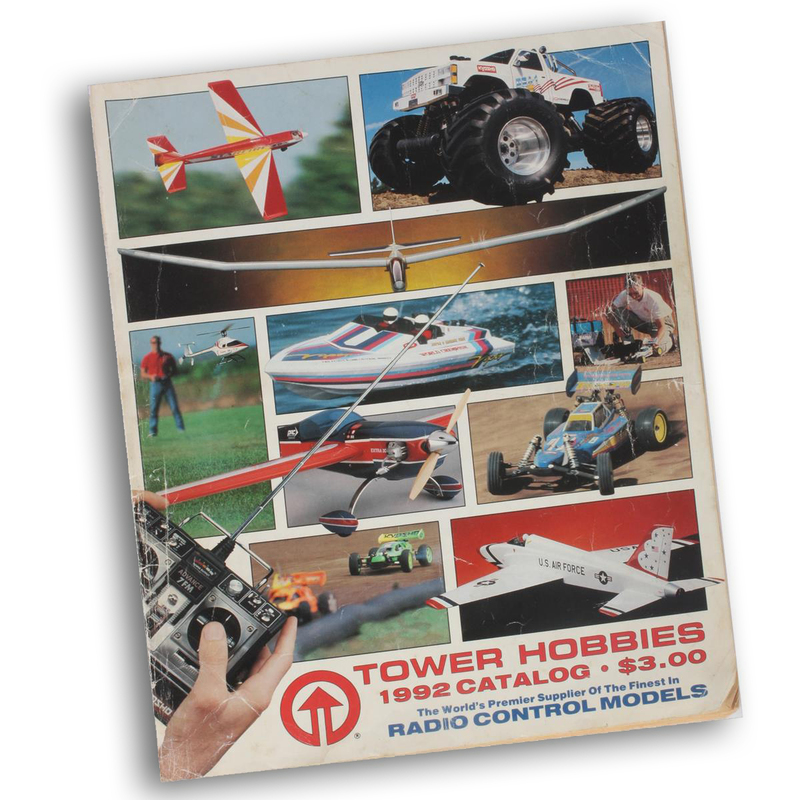 Ah yes, the beloved Tower Hobbies “big book.” The online (formerly “mail order”) giant still produces an annual hard-copy catalog, and it’s always a treat when one turns up in the mailbox. 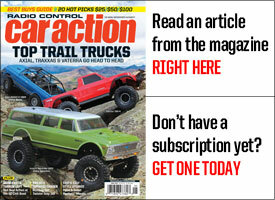 The annual is also a great time capsule if you save ’em, as this 1992 edition will attest. 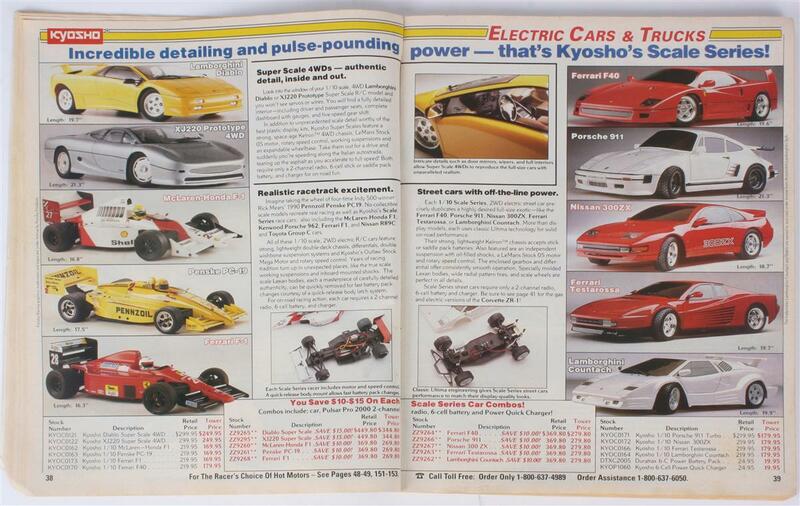 It’s chock full of Kyosho since Hobbico (Tower’s parent company) was the exclusive distributor for the brand at the time, and that means there’s plenty of vintage K-car goodness inside–plus other cool stuff. The only thing you won’t find in here is a URL–in 1992, the world-wide web consisted of just four websites! 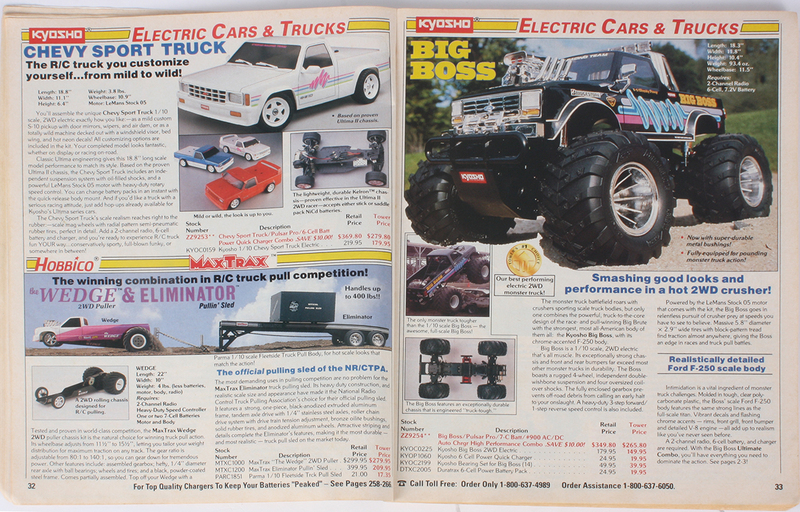 You were stoked when this showed up back in ’92. 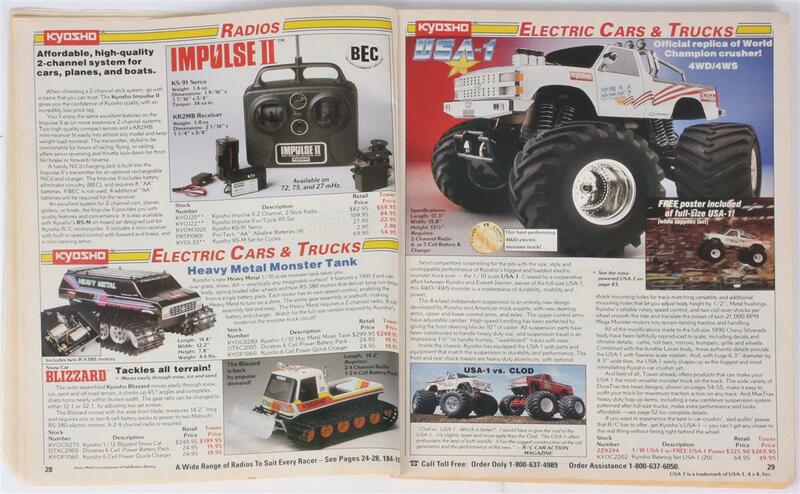 Once, my Mom got the mail and didn’t bother telling me the new Tower catalog had arrived for like a week. WAY TO GO, MOM. 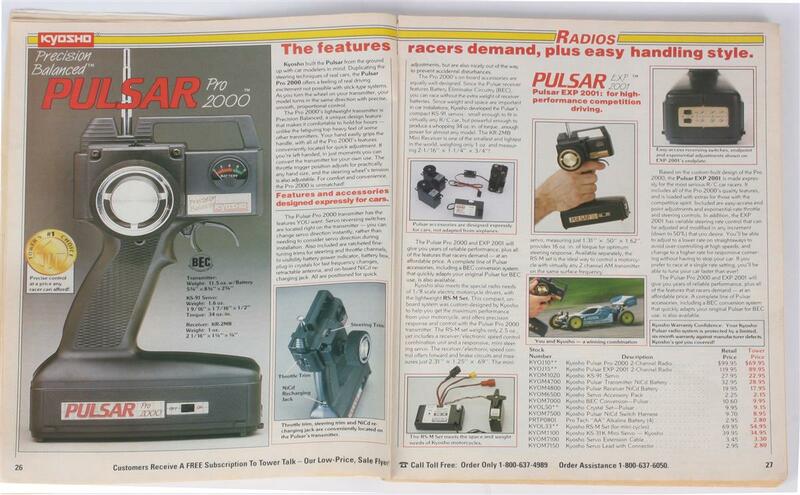 The Pulsar is still one of the weirdest looking radios ever. 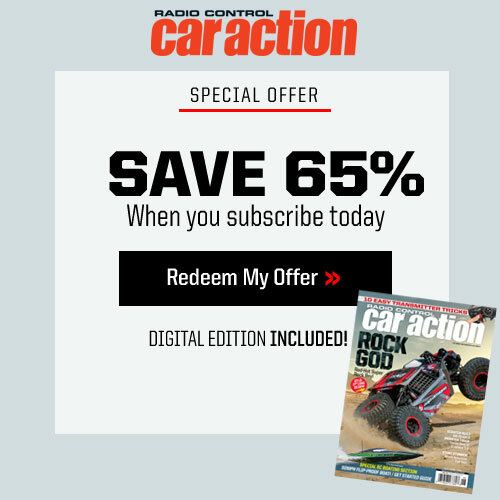 Usually a low center of gravity is something we talk about with cars, but man, that is one low-CG radio. USA-1! 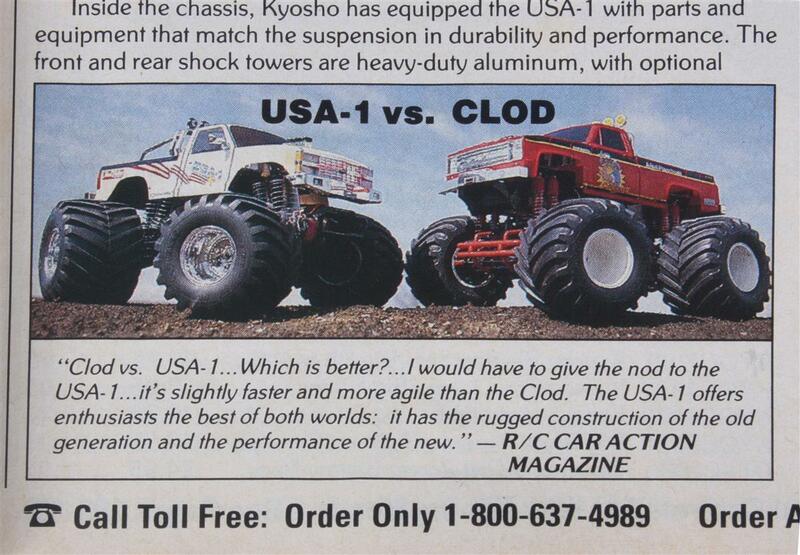 There’s a truck Kyosho should bring back, at least in name. 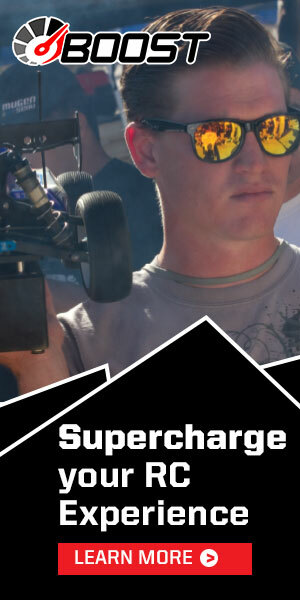 Hey look, a quote from RC Car Action! That USA-1 sure looks good with its chrome wheels and accessories. Not one, but two tracked vehicles! 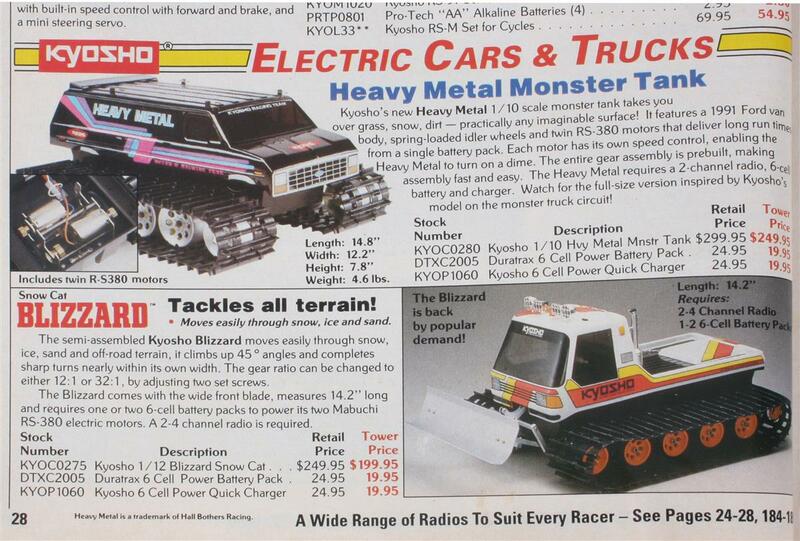 Kyosho still sells the Blizzard (it’s improved since 1992), and we’re rooting for a Monster Tank comeback. 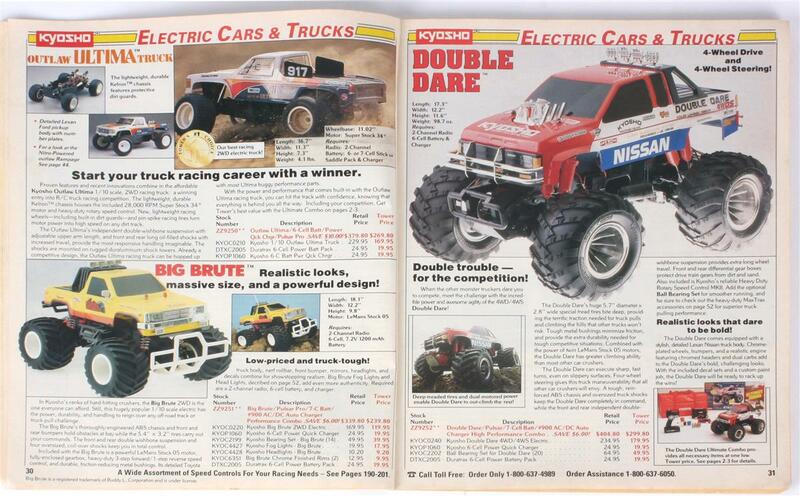 Big Brute and Double Dare…if you’re a truck guy, this spread hits you right in the feels. 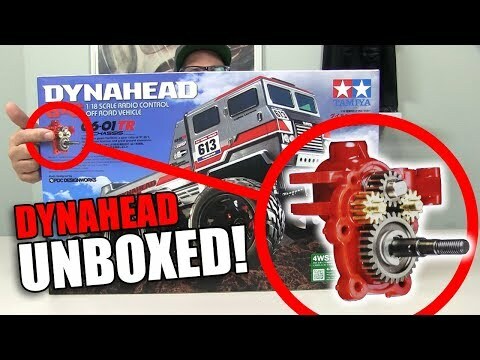 Kyosho was killin’ it with trucks, even on the street. 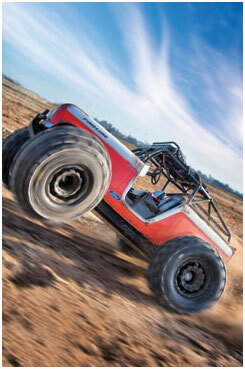 The Ultima-chassis’d Chevy sport truck is awesome, and the Big Boss….yaaassss. 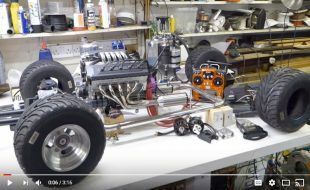 The chromed turbine wheels and blown engine look fantastic. 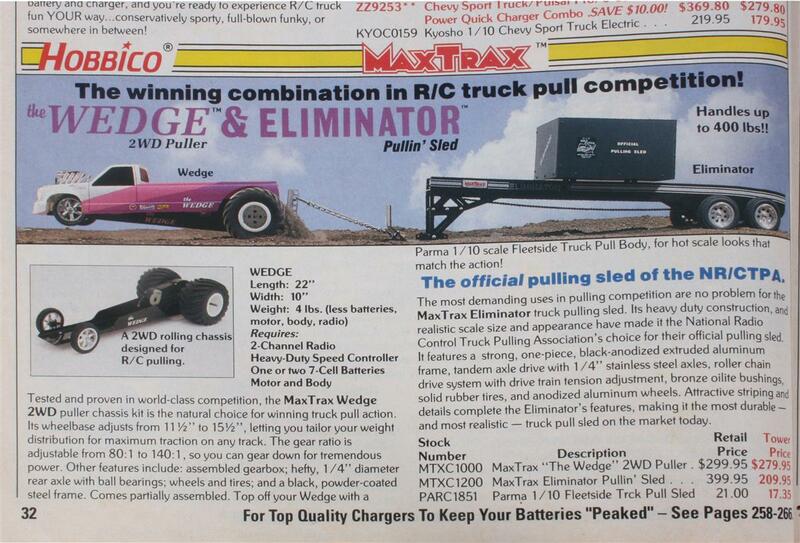 Wedge puller and Eliminator sled? We’ll take one of each, please. Pulling should really be more popular, it’s a blast. The Kyosho Ultima won the ’87 Worlds on a girder-style aluminum chassis, but it was a plate-chassis car in the early 90s available as the Ultima II econo-car or the tricked out Turbo Ultima II. 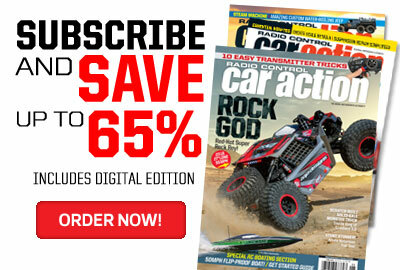 Kyosho’s new top buggy was the Triumph–gorgeous. Love the Triumph’s double-deck graphite chassis. The dual-belt gearbox was draggy though. 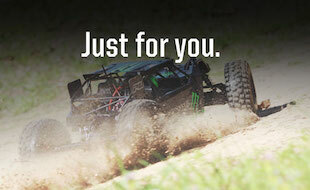 Kyosho made a big push for beginners with the Raider. 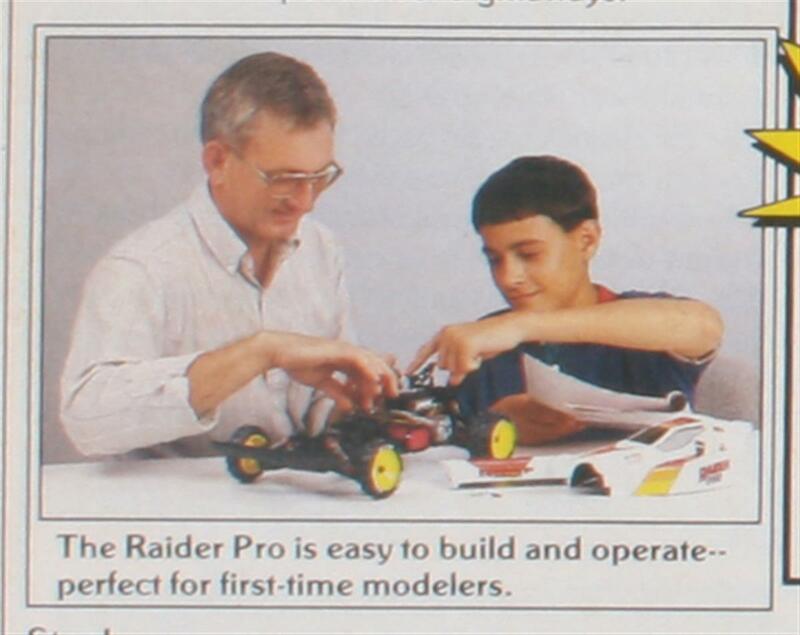 No RTR here, you could go ARR, or build it yourself…maybe with your Dad, based on the photo. 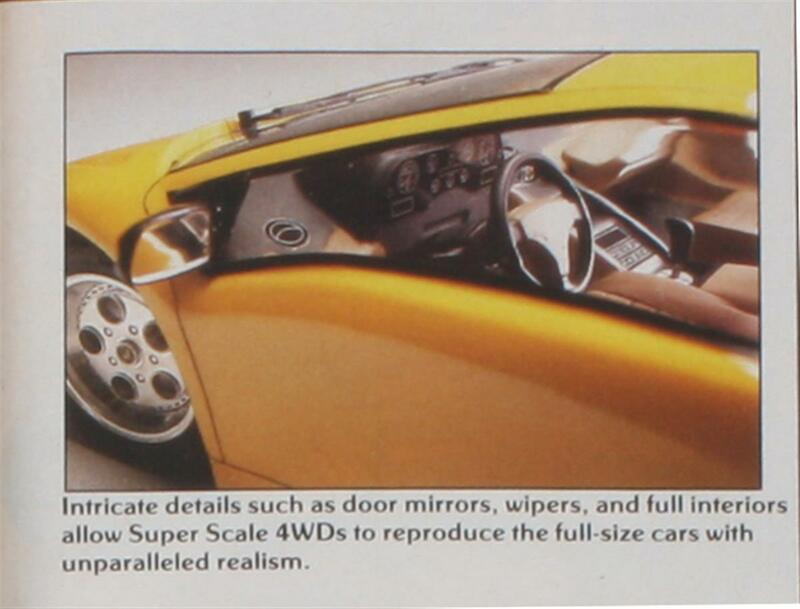 I had one of the Scale Series F1 cars, and my buddy had the Porsche 911, which was more fun because it was on the Ultima chassis and had all kinds of body roll. The Lambo and Jag Super Scale cars were rarely seen in the wild. Full interiors for the win! 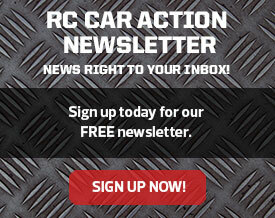 More on the unusual Super Scale cars at Classic RC Junkies. You could still get an Optima Mid in ’92, but the new Lazer was the machine to have. The Vette was another Ultima-based machine–or Rampage if you went nitro, which was basically an Ultima with an aluminum chassis and and engine. 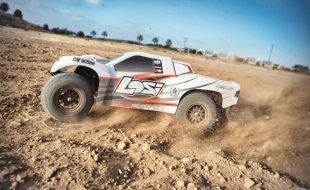 The 2WD Rampage buggy and truck arrived with pull-start O.S. 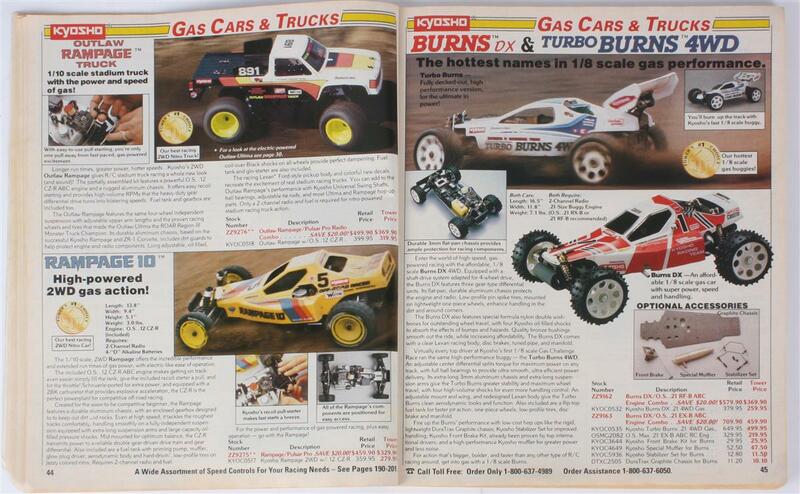 Engines power, but the car you lusted for was the 1/8 scale Burns. The Burns was a quantum leap away from rail chassis, roll cages, and chain drive with its plate chassis, full body, and shaft drive system. 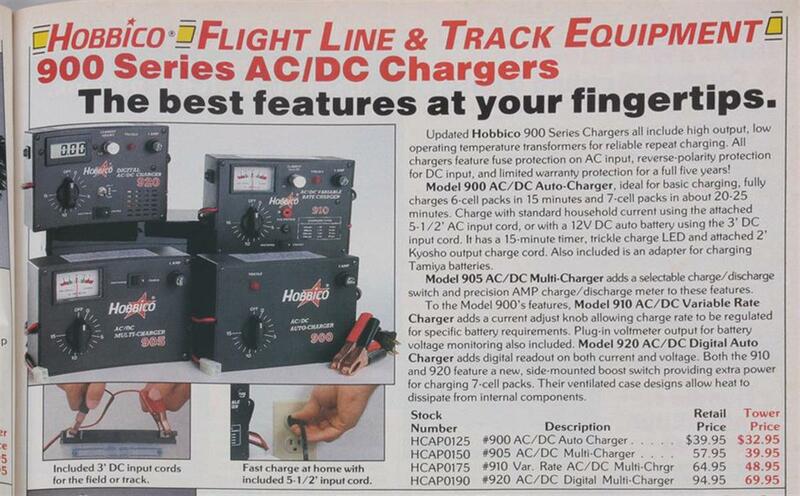 Remember when charging batteries meant twisting a timer knob? I had the 900, it’s big features were a power light and a fuse. 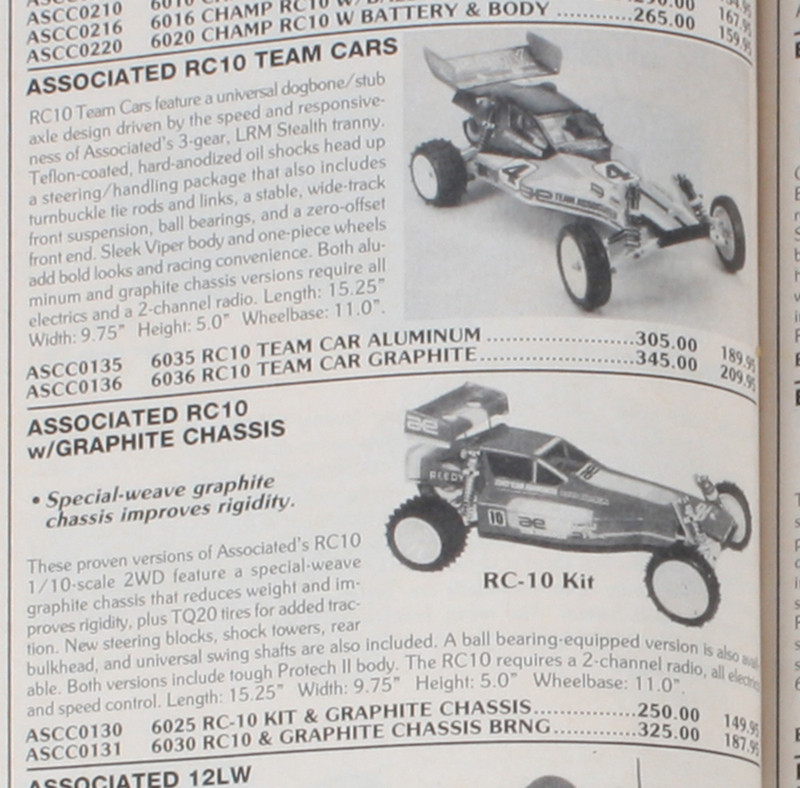 Tower carried pretty much every RC car under the sun in ’92, but unless you were Kyosho, you got stuffed in the back of the book, in black and white no less. 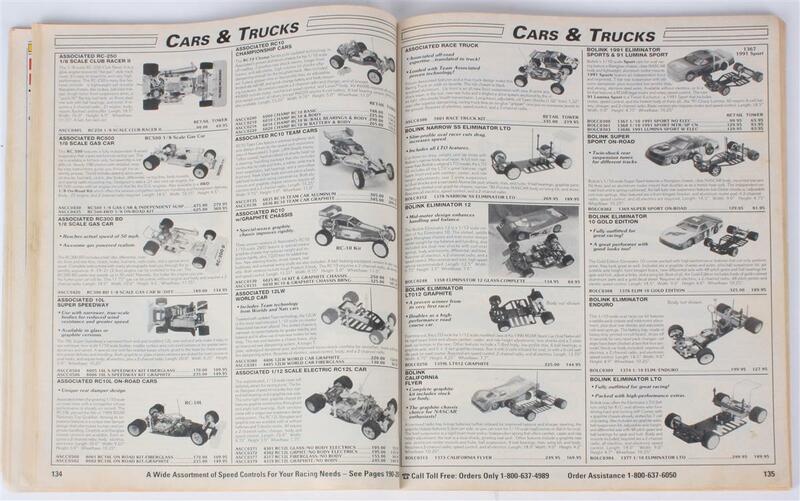 I have every Tower catalog from the mid ’80s till today. Always great to go back and look now and that at what used to be available. And from the pictures in this story, just how many of those cars i still have today! 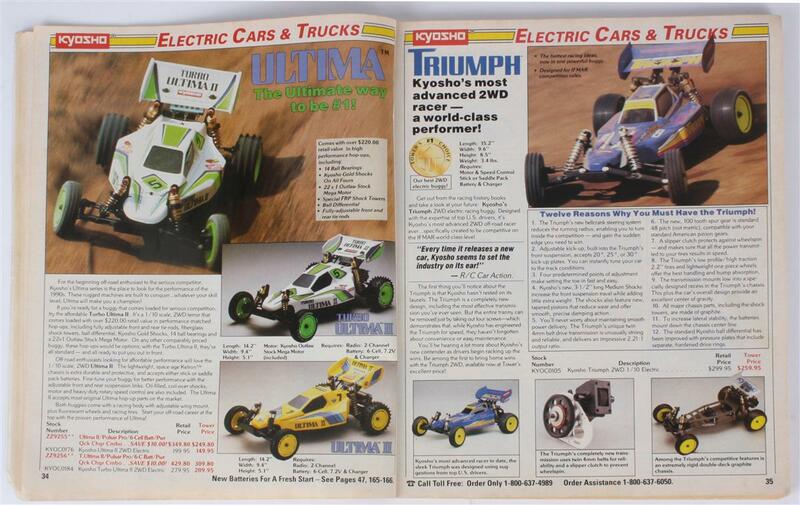 USA-1 Nitro, Big Brute, Double Dare, Blizzard Nitro and the electric verions, Kyosho ZR1 (electric version only), Chevy Sport truck, Optima and Ultima. 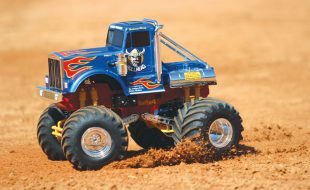 And of course the Tamiya Clodbuster! 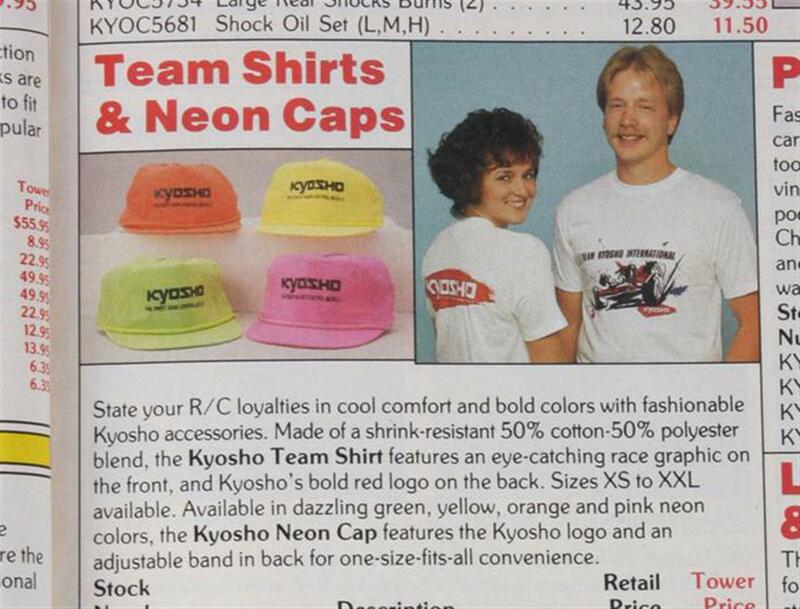 That was one of my favorite catalogs! 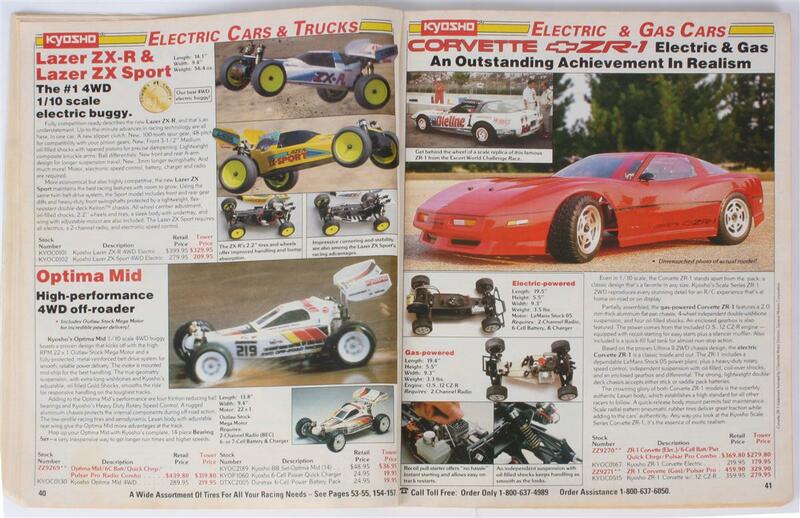 I might actually still have a ’92 copy in my old R/C magazines stash; fully highlighted and with everything circled, of course. 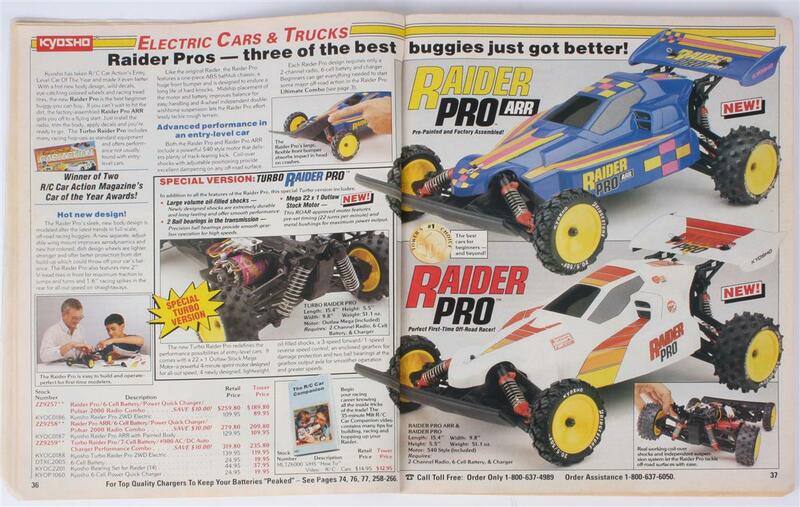 I had the Raider and Outlaw models when I was a kid. This article brings back some old memories!